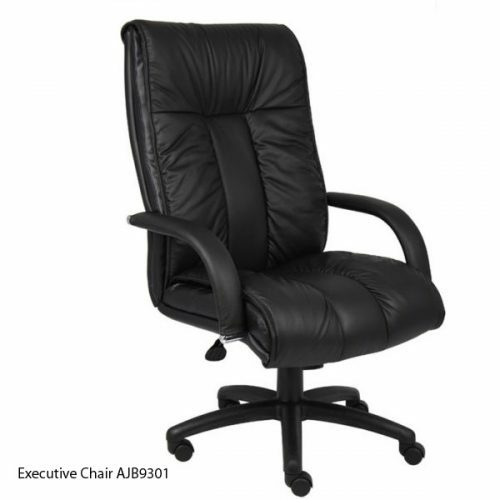 At AJAX Business Interiors, we carry a variety of quality executive chairs to provide comfort and style to match your office decor. 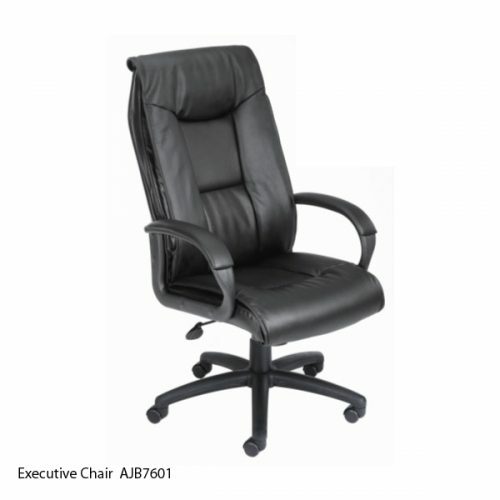 We offer executive seating in styles ranging from traditional to contemporary, high back or mid back, leather or vinyl. 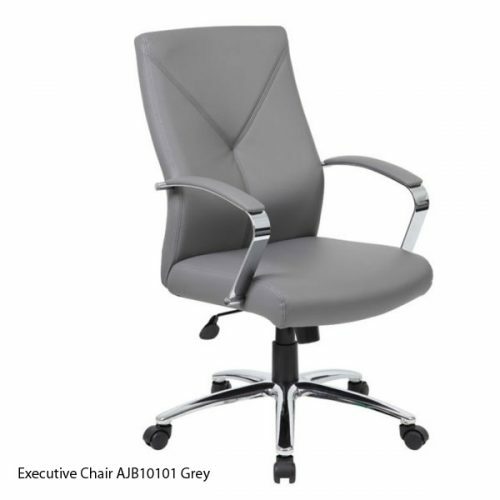 Stop by our showroom to see our selection in person and find the right style and chair options for you. We keep a huge selection in stock and ready to deliver. 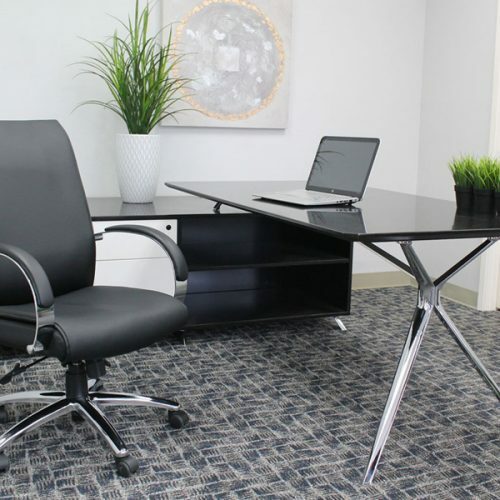 We provide executive chairs and office furniture for the entire Tampa Bay area, including St. Petersburg, Tampa and Clearwater as well as our neighbors in Sarasota, Bradenton and Brandon. 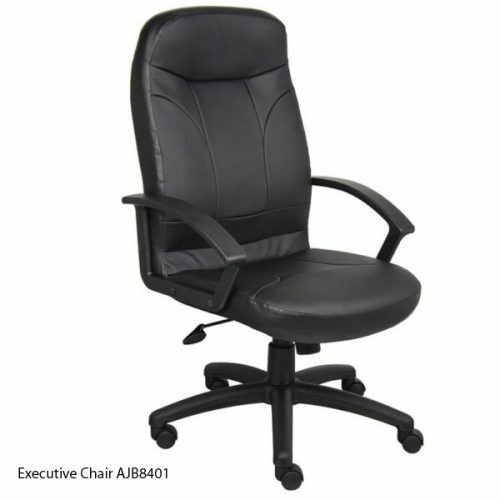 Here is just a selection of our executive chairs - we have even more in stock so come on by and take a look. 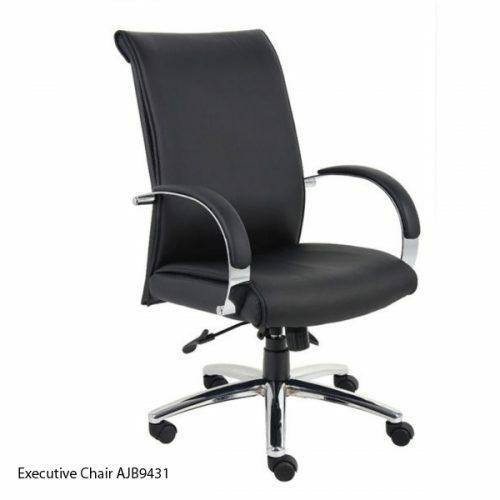 Executive Chair Stylish Executive Chair, Chrome Base. Color options - Black or White. 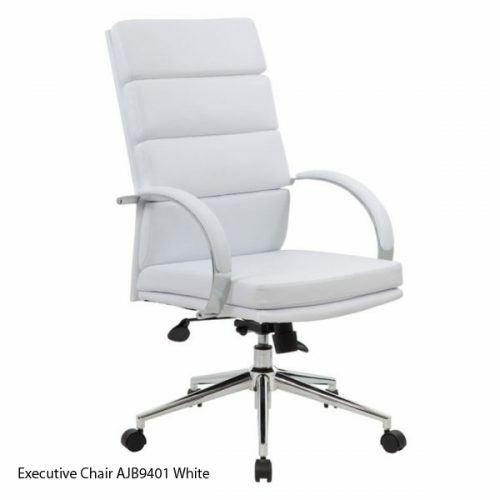 Coordinating side chair available. 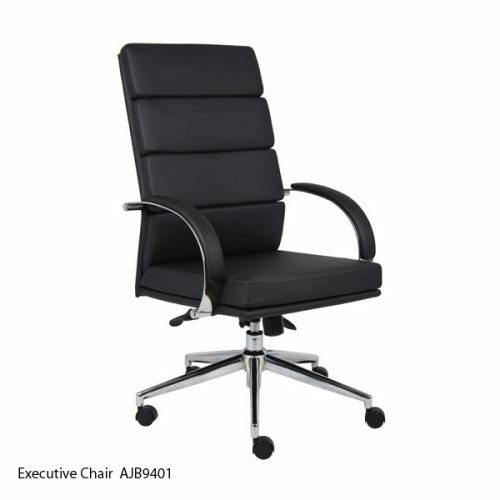 Executive Chair Contemporary Executive Chair with chrome base. Available in Black or White. 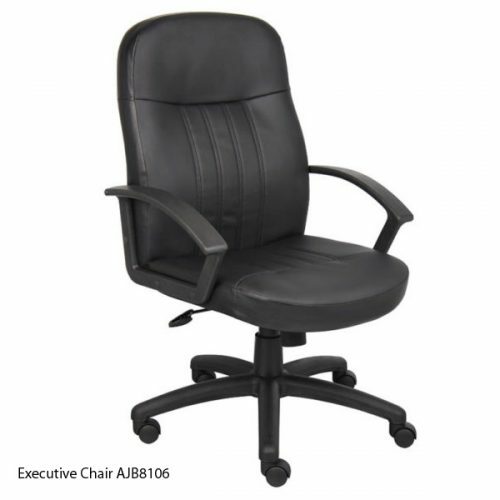 High Back Executive Chair Padded arms and knee tilt features. 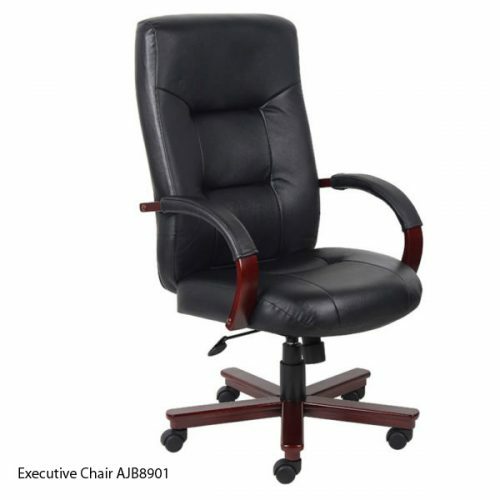 Executive Leather High Back Executive chair with Mahogany base and arms. 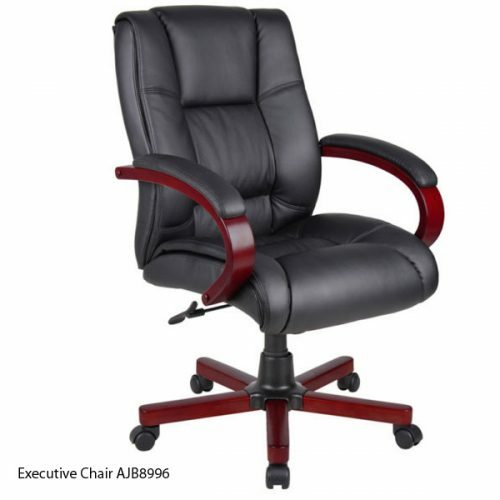 Executive Chair High Back Executive Chair with Cherry wood base and arms. Optional Mahogany base/arms. 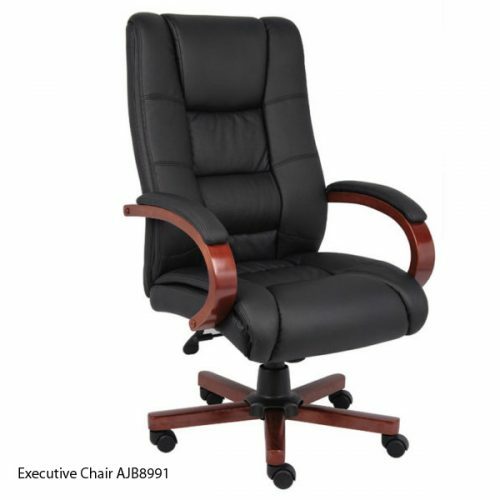 Mid Back Executive Chair High Back Executive Chair with Mahogany wood base and arms. Optional Cherry base/arms. 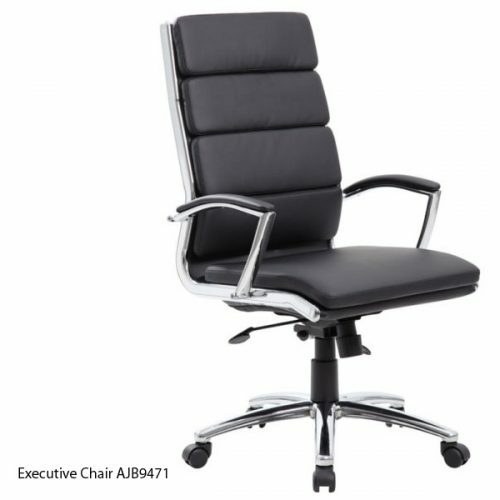 Executive Chair Chrome Base. Shown in Grey. Also available in Black. 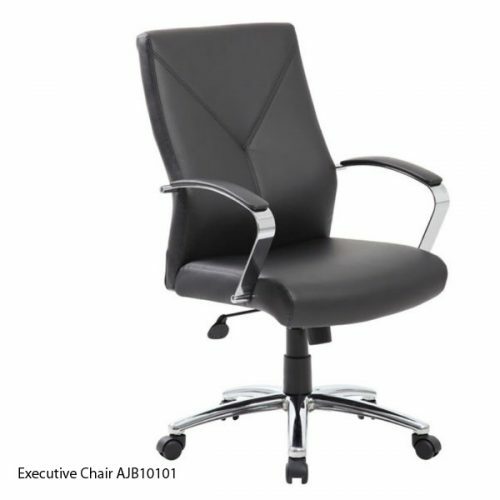 Modern Executive Chair Chrome base. Available in Black or Grey. Coordinating Side Chair available. 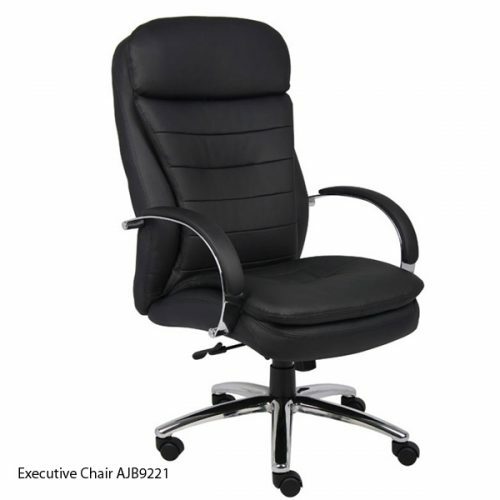 Deluxe Executive Contemporary Chair High back, pillow top executive chair with chrome base. 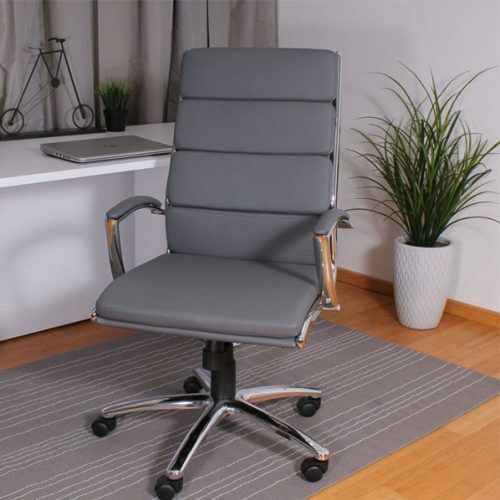 Matching side chair available. 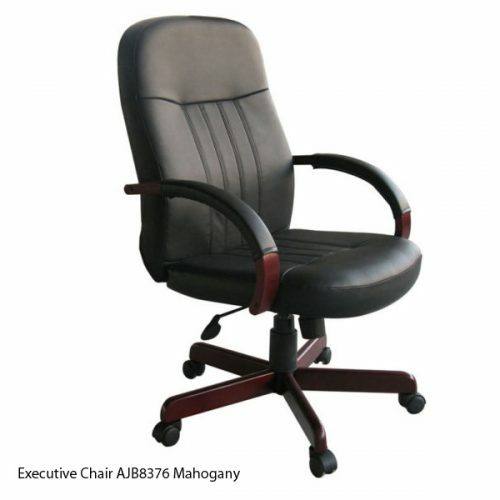 Executive Chair with Mahogany arms and base.